A harp is a massive yet very delicate musical instrument. In fact, it is as delicate as the music it creates. Thereby, it is particularly important to ensure that your harp arrives at the destination in good working condition. The only problem is that shipping, packing, and handling this amazing musical instrument with fragile nature is not an easy task. However, there is always a smart way out! In such a case, the best decision you can take is hiring an experienced fine art shipping company in NYC. At Fine Art Shippers, we have 20+ years of experience in shipping, packing, crating, and handling musical instruments of any kind, from guitars and cymbals to trombones and accordions. Moreover, our team is proficient in shipping pianos and grand pianos, including those weighing half a ton. So if you want your precious harp to be properly packed and delivered to wherever it needs to be in one piece, Fine Art Shippers is definitely the right choice for this responsible job! After all, we are experts in shipping, packing, and handling valuable and fragile items, no matter their size and weight. However, if, for any reason, you want to pack your harp yourself, take your time to read the following packing tips as they can help you protect your beloved musical instrument in transit. 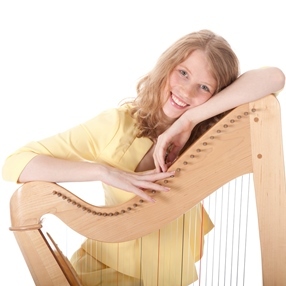 Opt for only high-quality cushioning and packing materials to prevent your harp from getting damaged during the move. If you want to make your harp more resilient to bumps, make sure that all the strings are kept taut. Use foam as padding. Plus, polystyrene foam blocks are also good for protecting the corners and the edges of the harp. Make sure that packing tape does not have direct contact with the harp when securing the foam blocks in position. Wrap the entire musical instrument in several layers of bubble wrap to protect it from hits and falls. Opt for a sturdy cardboard box of the appropriate size for safe shipping, packing, and handling your harp. Carefully place the wrapped harp inside the box and fill in the gaps with cushioning material. Properly seal the box with packing tape. Consider custom crating for your musical instrument as it is the best way to protect it in transit. Hopefully, these shipping, packing, and handling tips will help you provide your harp with the utmost protection during the move. Anyway, do not forget that you can call Fine Art Shippers at any stage of the packing process. Our art moving company is always at your disposal!